Every day we receive emails requesting information on helpful tips and tricks to promote your concepts and designs. We’ve already discussed Polyvore, Pinterest, and Tumblr and are happy to share one of our favorite social media outlets. Our next installment in our “how to” blog post series is how to market your custom apparel storefront on Instagram! Another free platform that allows individuals to share photos and videos instantly while giving the option to share through a variety of other social networking platforms, such as Facebook, Twitter, Tumblr, and Flickr. It’s all about the picture. Ever heard the saying a picture means a thousand words? Consumers visually shop with their eyes before anything else so you only have a few seconds to really grab their attention. Instagram is a visual playground of fascinating images that ordinary people happened to witness in person and they want to share with everyone else. Your Instagram style can say a lot about you and the products that you sell. You don’t necessarily need to be a professional photographer to have a huge following. With that being said, customers enjoy seeing other individuals wear your products. It gives them the opportunity to see what the fit looks like but also get the feel of your style. For example, if your storefront is about camping then make sure to include images of individuals enjoying your products outdoors or set a mood by taking a picture of your design in it’s element – on a beautiful hillside or hanging from an old oak tree. The overall purpose in your creativity is to give your customers a reason to follow you. The more followers you have, the more opportunities for your products to reach a new audience. Instagram has a great organic approach of this is an amazing product, picture, moment and I want to share it with everyone. Don’t overthink it. How and where would you wear your product? You may be asked if you want to follow some friends who are on Instagram in your Facebook network. You can also customize your profile by adding your name, a photo, a short bio and a website. This is a great opportunity to give a detailed snap shot of what your storefront concept is all about along with a direct URL link to your custom apparel storefront. It’s all about the hashtags on Instagram. The only way your products will be seen by individuals other than your followers is to add appropriate hashtags to your description. Similar to Customized Girl’s concept of adding tags to your designs so they are easier to find when individuals are searching the website. Once you start adding relevant hashtags to your image, Instagram will provide you with helpful suggestions and also include the search volume. You can easily search for people and your favorite hashtags on Instagram by clicking the magnifying glass. This will also display the top trending hashtags on Instagram at that moment. This is a very important feature to keep an eye on and take advantage of. If your storefront concepts are clever enough to mash up with an existing design and a trending topic then jump on it! It’s what we live for at Customized Girl. 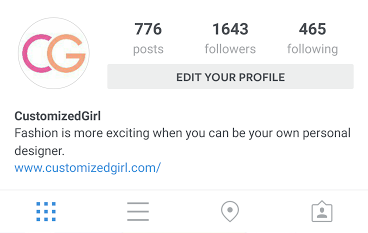 Last but not least, make sure to follow other relevant Instagram accounts. This is a simple technique to get followers that are passionate about the same interests as you. It opens the door for not only future customers but for possible networking opportunities. What are other successful ways to promote your storefront on Instagram? 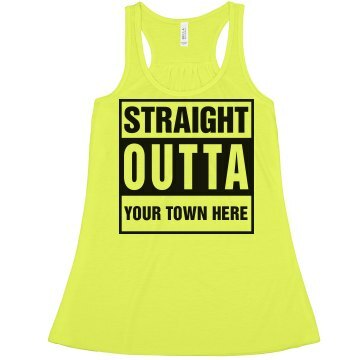 Let us know and make sure to check out our other blog posts on how to market your custom apparel storefronts! 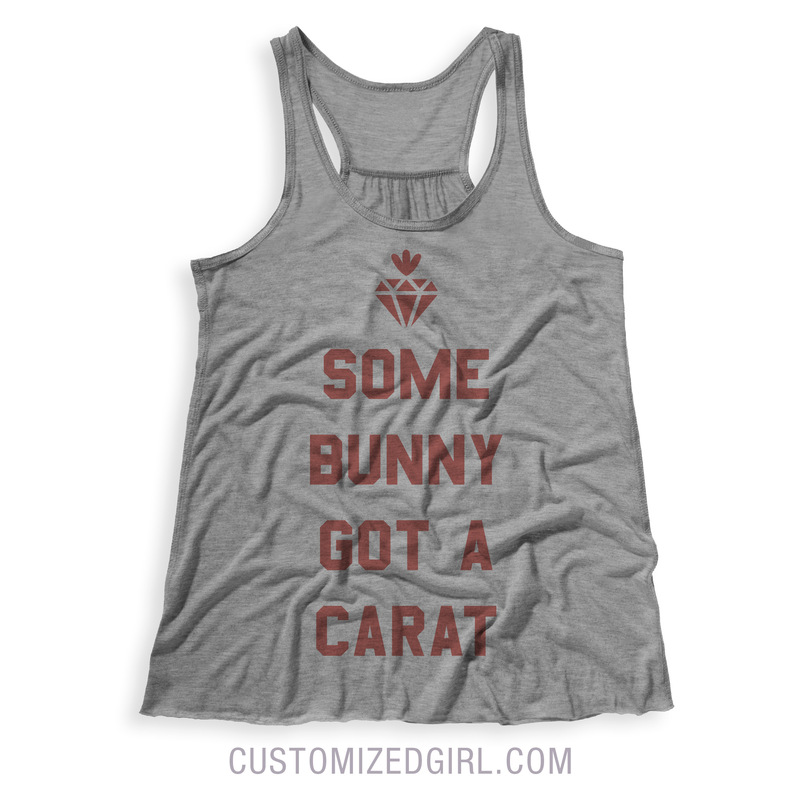 Lookbook: Some Bunny Got A Carat! 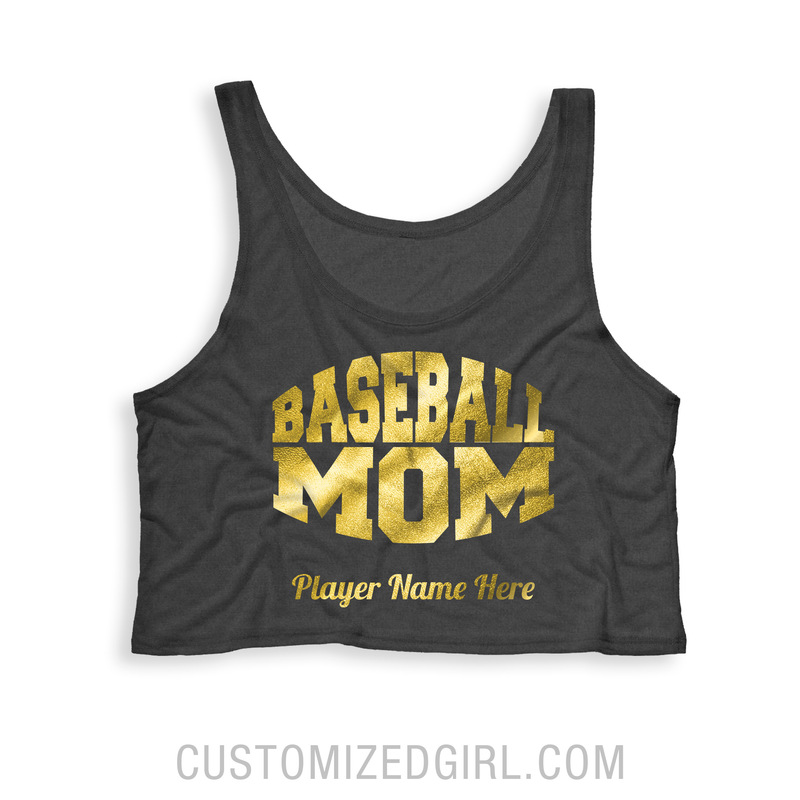 At Customized Girl we do our best to provide you with the finest selection and the trendiest designs in custom apparel. We know that what you wear says a lot about you and that includes every aspect of your outfit from head to toe. 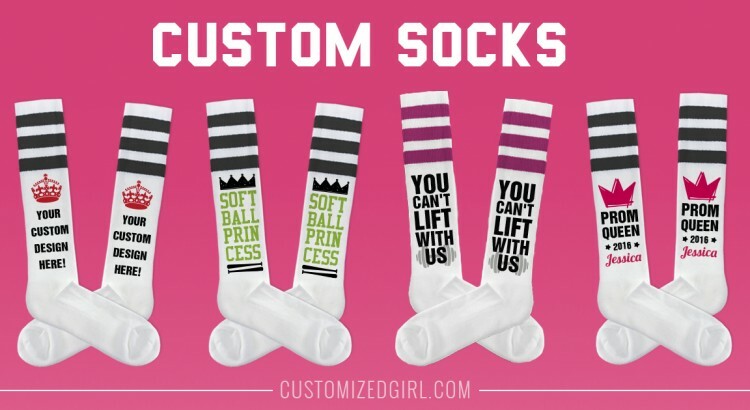 That is why we wanted to give our customers not only the option to expand your creativity to just tees, tanks, and hoodies but to custom socks as well! Having the ability to print whatever you want on to your socks is a cool and new way of expressing your originality. Custom socks are ideal for marathons, holidays and themed parties. You can easily create matching designs for events and with our group discounts and no minimums, you can order 1 or 10 pairs of socks. 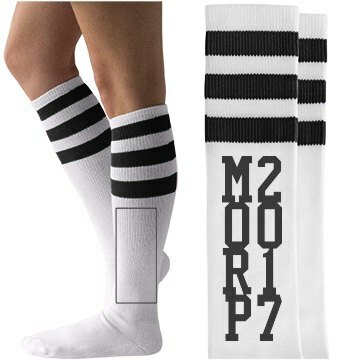 Customized Girl offers two different pairs of custom socks – American Apparel striped knee-high socks and Hanes crew socks that includes unisex, ladies, and children sizes. But if you love these designs so much you can easily swap it out onto a tee, tank, or even a hoodie. Our gallery is full of amazing designs for running events, a variety of sports, and even popular trends that you can customize by swapping out your favorite colors, art, and text. Designing custom socks will embody true team spirit and help you easily stand out on the the field. If you need help creating the perfect design our customer service team is here to help from start to finish. We understand the importance of having a top rate design and we want to help you achieve it. Show us your custom sock designs by sharing your photos via Facebook, Twitter, or Instagram! @CustomizedGirl. For most high schoolers, going to prom is a pivotal moment of their teenage life. The opportunity to dress up and dance the night away with your crush is a night that they will remember forever. Nowadays there is a major pressure to not only ask your crush to prom but how creative you are when you ask. Cue promposals. You heard right, promposals. If you haven’t already guessed a promposal is an elaborate and public proposal to take somebody to a high school prom. At Customized Girl we know they are all the rage and we wanted to give you some extraordinary promposal ideas! Prom bears are the cutest and most sure way of getting a great reaction. We have provided a gallery full of amazing designs for you to choose from but if you are feeling extra creative or want to add your own inside joke, you can do so by starting from scratch. There are no minimums on our stuffed animals meaning you can customize as many as you need or just that one special teddy bear. 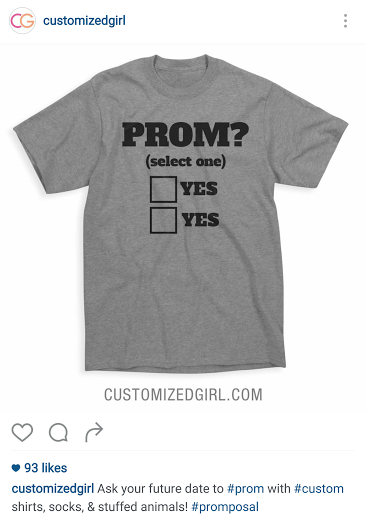 Our classic Prom Promposal shirt is a big hit with our customers but you can always step up your game by customizing a shirt asking if he or she will be your Prom king or queen. You really can’t go wrong with food. You know what’s even better than food? Food puns on custom teddy bears and custom shirts. This is a truly unique idea that works great if your soon to be date is an athlete. Use your school colors and be cute or funny – the choice is up to you! Still need ideas to be the best promposal asker of all time? Check out our Prom and Homecoming pinterest board for the latest and trendiest ideas! What are some unique and one of a kind promposals you’ve seen? Share with us via Facebook, Twitter, or Instagram! @CustomizedGirl. Nappers rejoice – It’s National Napping Day! National Napping Day is celebrated annually the day following the return of daylight savings time. While some may say that National Napping Day is a bogus holiday, it provides everyone with the guilt free opportunity to have a nap and catch up on the hour of sleep that they lost due to the time change. Seems legit enough for me! Napping is great for your body and sometimes is recommended to help individuals live a better and healthier lifestyle. So what’s your style of napping? Power nap, cat nap, or do you think napping is only for the weak? 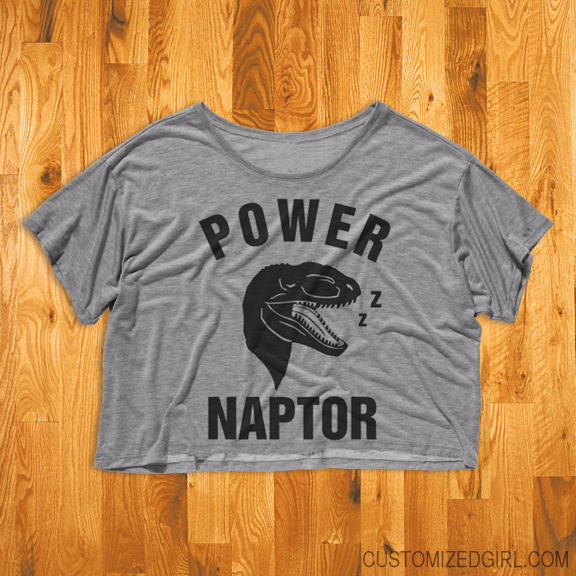 Whatever your style may be Customized Girl has a refreshing selection of custom nap shirts to wear on National Napping Day. Take any design from our gallery and add your own sense of humor and style by customizing it with your own art and text. If you don’t like the style or color of the design you can simply switch out the product. Some of our more comfy products include custom pajamas, custom hoodies and sweatshirts. We even offer the option of custom pillowcases so you can see your amazing design every day when you take your much needed nap or when you’re getting that good night’s sleep. 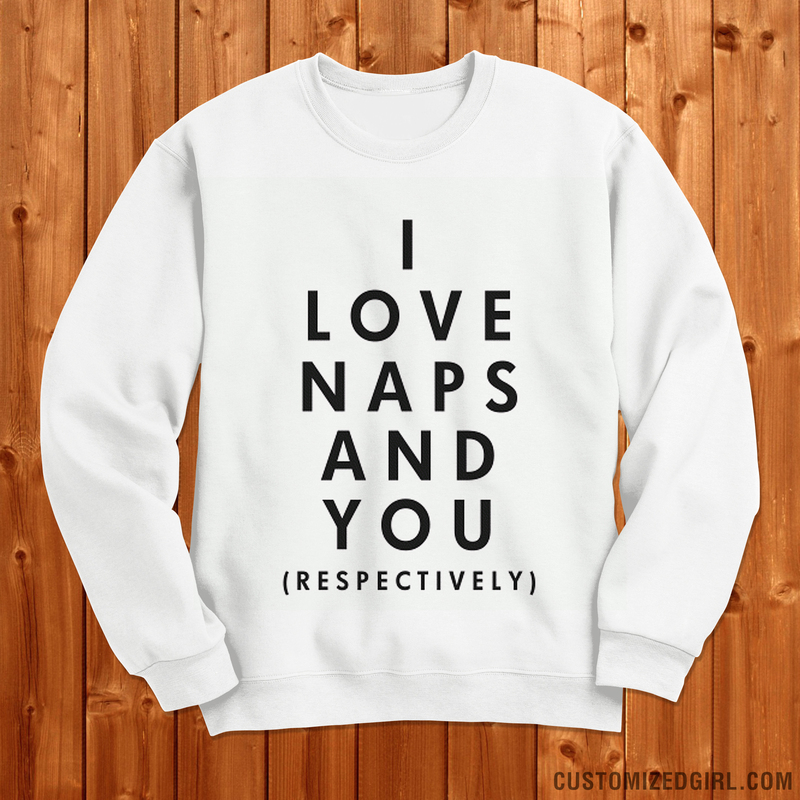 There’s no shame in your game – showing off your love of naps is that easy with custom apparel on Customized Girl. But seriously who doesn’t love a good nap? Celebrate national napping day with a nap… or two. Trust us you won’t regret it. All year long there are many organized running events – 5k’s, half marathons, whole marathons, color runs, charity runs, and everything in between. Each event has it’s own theme and depending on if your running is purely fitness related or raising funds for a cause, this gives you the perfect opportunity to create amazing running outfits. Customized Girl has put together a gallery full of funny running shirts to help get you motivated for those long, monotonous runs. Start a healthier, fitter life and have fun with it! Custom running shirts can be the best remedy for lack of motivation. Showing off your new workout gear can encourage healthier habits because you will want to wear it all the time! 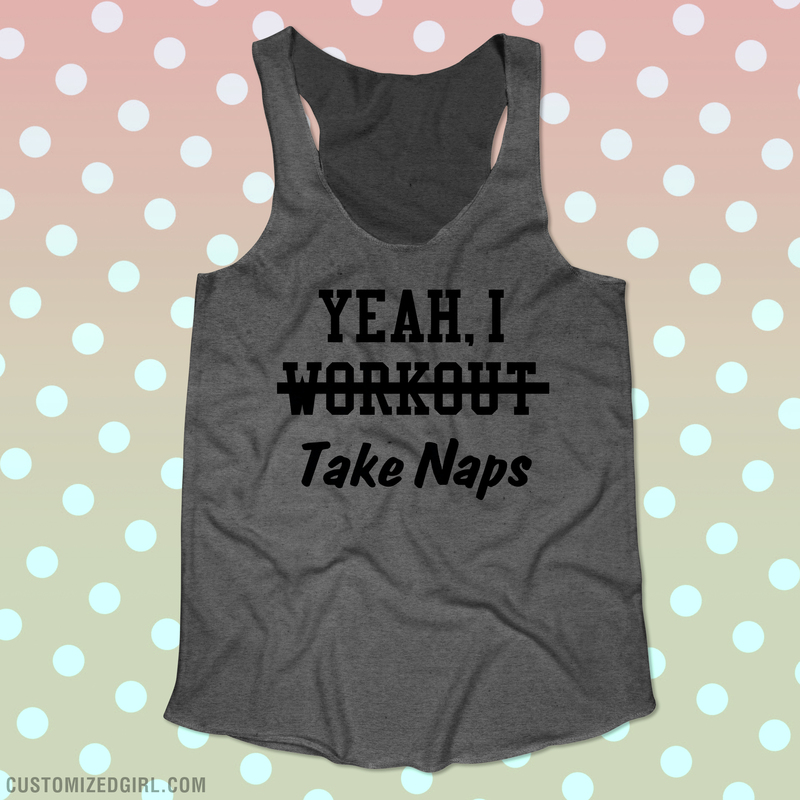 By customizing any of our designs you can easily add your own workout saying, slogan, or maybe some hilarious inside joke with your runner buddies. Maybe you are just incredibly clever and can start your design from scratch! Our running gear is not only great for individual runners because of our no minimum policy but even better for bulk orders due to our group discounts that are automatically adjusted in your shopping cart after 6 or more items are added. Now that’s a deal. 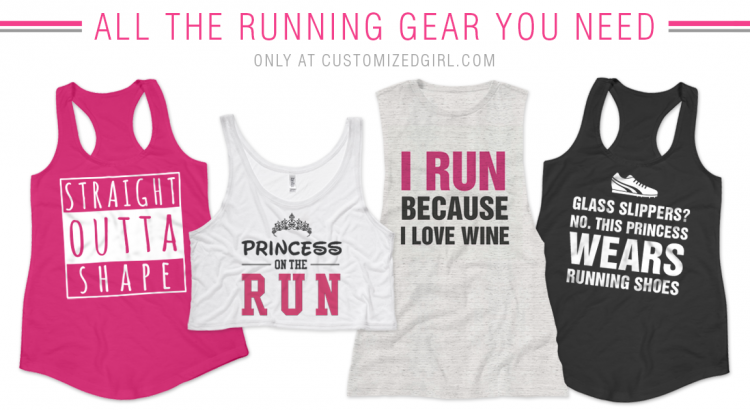 Customized Girl offers a variety of apparel that is perfect for any runner’s style. Our performance wear enhances your ability to workout more effectively with breathable material and moisture wicking properties that are sleek, comfortable, and good looking. We offer custom socks, custom bags, water bottles, and custom hats that are ready to customize with your city and date. Our design center makes it easy to upload your logo or sponsor logo’s to apparel that will help market your brand to potential customers. Are you fitness trainer or own a yoga studio? 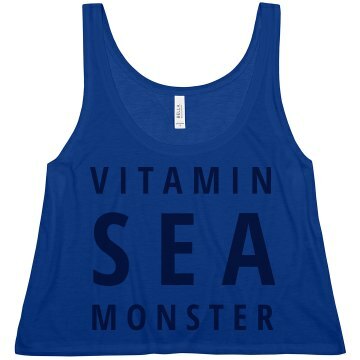 Or are you just a trendy individual that has great fitness slogans and sayings? Take your business and brand to the next level by customizing apparel with your logo and opening an online storefront to sell your gear. Check out Customized Girl storefronts and what they can offer your business. Winter can feel like the longest and harshest season that will never end. Because of those grueling cold winters, most spring break destinations are to warmer or tropical temperatures. Spring breaker agendas typically consist of laying by the pool during the day and partying it up at night. While hotter weather means less clothing, your attire can say a lot about your personality and intentions. 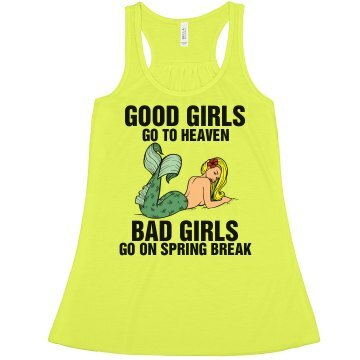 That is why we wanted to put together our list of the best Spring Break crop tops! Spring break or not, I’ll always be a mermaid at heart. Everyone knows how crazy spring break is… we just decided to put it on crop tank top. 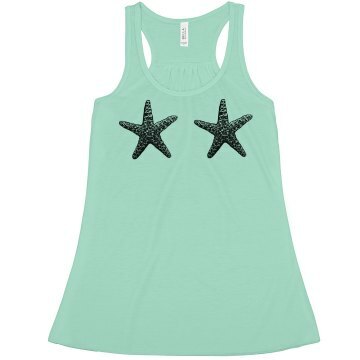 Just a little more coverage than your classic star fish top. It’s your senior spring break – make it count! 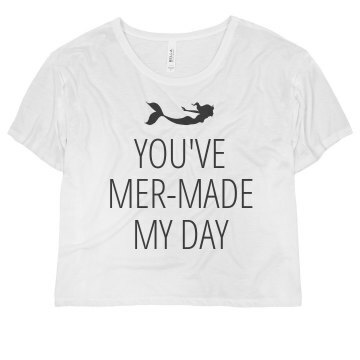 Mermaid puns are the best. Add whatever city you are traveling to! We all know you that the 8 of you are sharing that one bedroom hotel room. 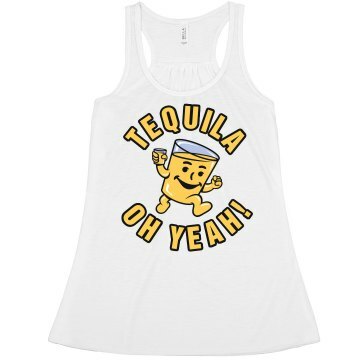 Tequila makes him even happier than that other stuff. 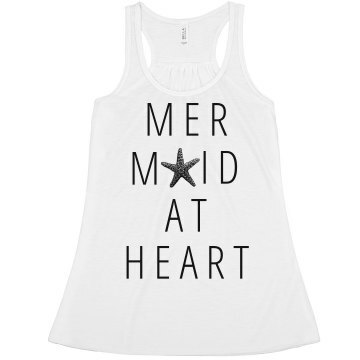 You belong in the ocean with your mermaid friends. 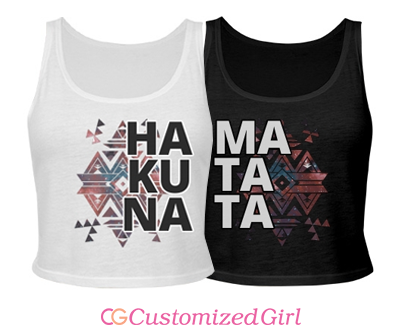 It means no worries while you’re on spring break. 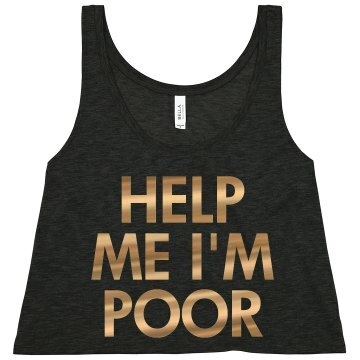 Crop tops are an essential item for spring break. We’ve expanded our selection of custom crop tops that include a crop t-shirt, an oversized crop tank and the more traditional crop tank top! Easily swap out one of our designs and put it on your favorite style or better yet, start your design from scratch for a one of a kind design. Don’t just stop with a crop top! Add matching trucker hats and a custom bathing suit to your collection and really make a statement on the beach. 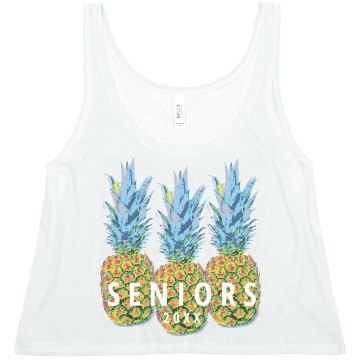 Counting down the days til spring break can feel like it will never come so make the time fly by customizing your own one a of a kind spring break apparel! Easter is a special time of year where family and friends get together to celebrate deep-rooted traditions. Nowadays the feeling of togetherness with family can be limited so regardless of your reasoning for observing Easter, many jump on the opportunity to sit down with family and have a wonderful meal. What can make any holiday extra special is when there is a new addition in the family. Having family together to meet the little one and begin a new lifetime of memories can be incredibly significant. 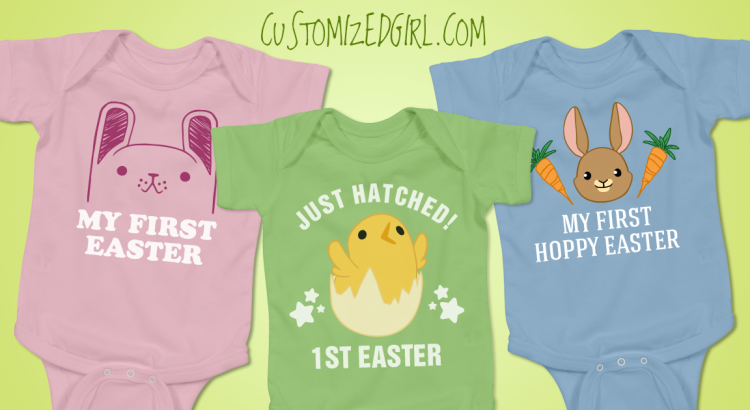 Make this Easter even more memorable by commemorating baby’s first Easter with a custom Easter baby onesies! Customized Girl offers two brands as options of your Easter baby onesies: Infant Gerber onesies and infant Rabbit Skins lap shoulder creeper. Our custom baby onesies are incredibly soft and have snap closures conveniently positioned for easy diaper changing. 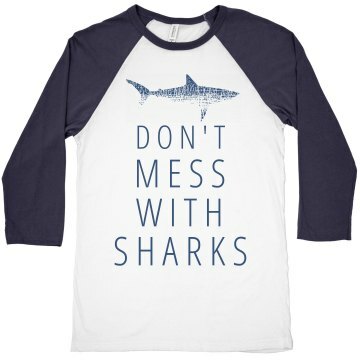 Our printing process involves state-of-the-art digital printers, printing high quality ink directly onto your item. This print creates an extremely durable design that won’t fade over time. You can easily pass down your custom onesie to your children or giveaway to friends to create a lasting memory. Our Easter designs are absolutely adorable and will make everyone smile when they see how precious your little one is. We offer darling chicks and charming bunnies that will make your heart flutter. With our easy to use design center you can add your baby’s name or add your favorite colors. Creating a custom Easter onesie will build a long lasting memory that you will fondly look back on for years to come. Customized Girl can be your answer to all your holiday shopping this year. With a large variety of products and the option to customize you can easily make everyone happy. We offer a group discount on orders of 6 items or more, even if they’re not the same item! Design custom Easter gifts and check all the grand-kids, nieces and nephews, cousins, and friends off your list at once!